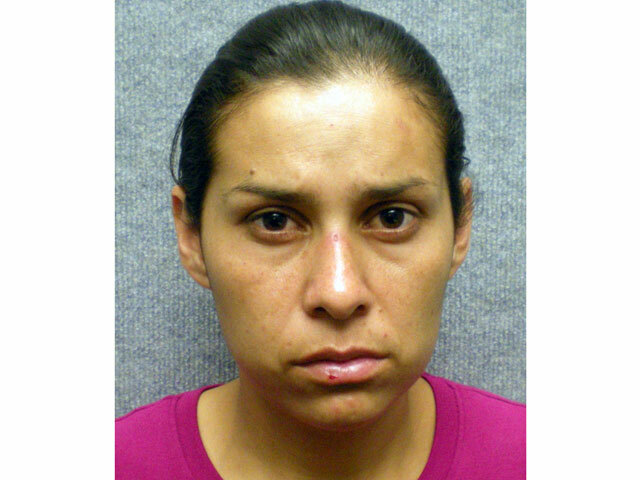 (CBS/AP) ORANGE, Calif. - Sonia Hermosillo, the California mother who is accused of tossing her infant son off of the fourth story of a parking garage, has been placed on suicide watch, according to a jail official. Her arraignment was delayed until Monday due to medical issues. The 31-year-old faces one count of murder and one count of assault on a child with force likely to produce great bodily injury resulting in death. Jim Amormino, a spokesman for the Orange County Sheriff's Department, said Hermosillo has been put in a protective gown in the medical ward of the Orange County Central Jail so she cannot hurt herself. According to the Los Angeles Times, she was placed on suicide watch on Thursday. Prosecutors say Hermosillo drove her 7-month-old son to the fourth story of a parking garage on Monday, removed a special helmet he wore for a medical condition and threw him over the edge. She then validated her parking ticket and drove away. She was arrested that same day. Hermosillo's husband, Noe Medina says that she suffered from severe postpartum depression and couldn't accept that her only son had two unusual disabilities, one of which required him to wear a special helmet to reshape his head. "There is no grudge against my wife. Don't judge her poorly. She was truly ill," said Noe Medina in Spanish on Wednesday. "Understand the pain that I am in ... I lost my son and now I don't want to lose my wife." Authorities say she threw the baby from a parking garage at Children's Hospital of Orange County, where the boy had been undergoing physical therapy twice a week. The boy didn't have an appointment that day.